Green Skills Sewing with Scraps workshop was a big hit at the City of Cockburn’s Sustainable Christmas Expo on Sunday 25th November. 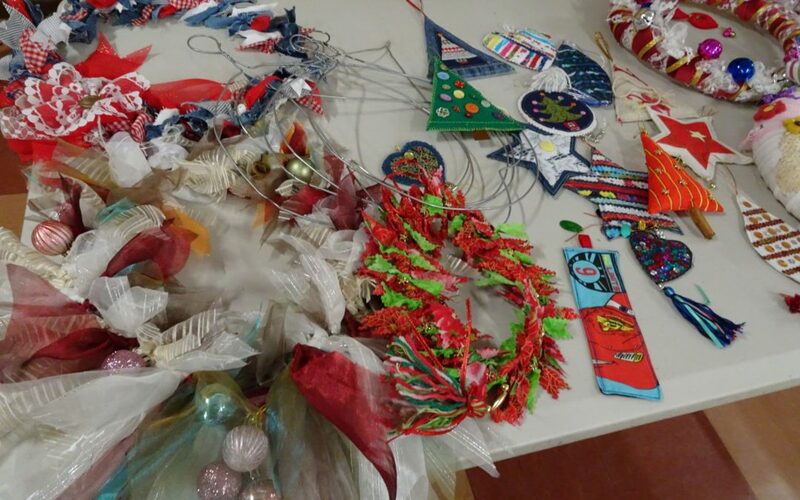 Presenter extraordinaire Jude Ludlam showed participants how to create wreaths and trees from wire coat hangers and material scraps, and gave lots of fun ideas for making Christmas decorations using recycled materials and bric-a-brac items. 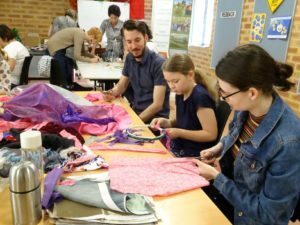 Participants ranged in age and experience but everyone enjoyed creating interesting items while helping to minimise waste. Many agreed it was a great way to spend an afternoon away from mobile phones and screens. 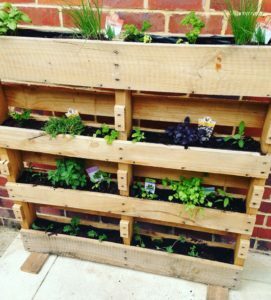 On behalf of Green Skills, Cassie and Corbin of the Pallet Project presented another fabulous Upcycling Pallets Workshop last Saturday as part of the City of Cockburn Sustainable Events Program. 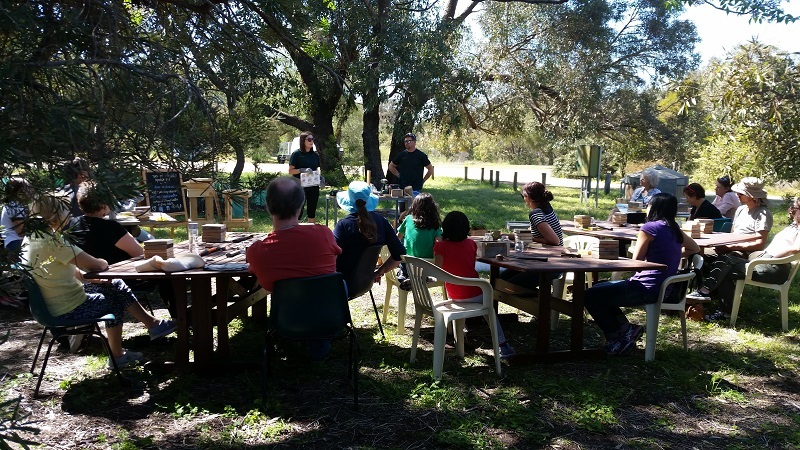 It was held under the trees at the Cockburn Wetland Education Centre for an enthusiastic group of participants with ages ranging from Primary School to Pensioner. Everyone had the opportunity to make a small planter to take home and then watched demonstrations on how to construct a vertical garden and a tall stool, the design of the latter being adaptable to make tables and stools of various shapes and sizes. Thanks to Nicki Ledger, Cockburn Waste Officer for hosting the event and to the City of Cockburn for sponsoring it. The City’s Sustainable Events Program includes activities of all sorts. Watch out for the new program which will be coming out for the first half of 2018. Also, check out Cassie and Corbin’s facebook page PalletProject101.